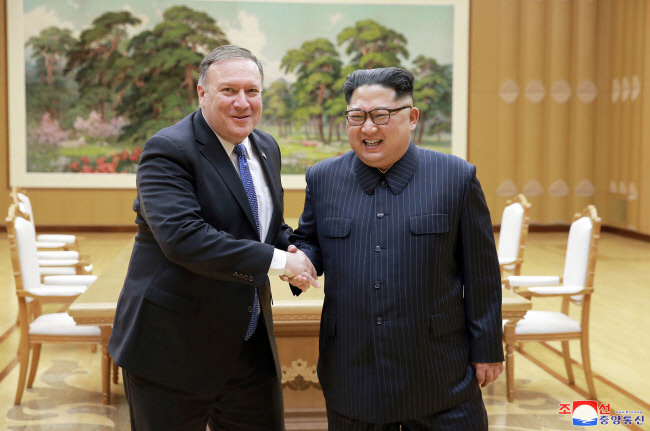 US Secretary of State Mike Pompeo has said that he is "confident" that a second meeting between US President Donald Trump and North Korean leader Kim Jong-un will happen in the near future. Speaking to Fox News Thursday evening, Pompeo maintained that he believes the two leaders will be able to make progress toward dismantling the North's nuclear weapons program when they meet to follow up on their historic first summit last June. "Lots of work that is left to be done, but I am confident that in the next short period of time President Trump and Chairman Kim will get the chance to meet again and truly create a much better, safer America with less threat of not only nuclear weapons being launched at us but nuclear proliferation as well," said the top US diplomat, who has led negotiations with Pyongyang. Kim said in his New Year's address that he is ready to meet Trump at any time. He reaffirmed his commitment to complete denuclearization but also warned that the regime may be compelled to seek a "new way" if the US continues to impose sanctions and pressure. Trump said Wednesday that he had received a "great letter" from Kim and that the meeting would be set up in the "not-too-distant future." Pompeo admitted that the next summit alone may not lead to complete denuclearization. "I don't want to tell you exactly what our negotiating strategy is, but suffice it to say I think we have set the conditions where we can make real progress when Chairman Kim and President Trump meet and take down the threat to the United States and to the world that has been, frankly, holding America hostage for so long in North Korea," he said.